It is estimated that as many 15 percent of Americans skip routine dental visits due to fear or anxiety. Although the majority of dental visits are pain-free check-ups and teeth cleanings, dental fears remain common. A visit to the family dentistry office can ignite unnecessary fears and anxieties, leaving the individuals to neglect their dental care and increase their susceptibility to disease. Dental fears and anxiety may be common, but for optimal long-term health and a high quality of life, affected individuals should seek help, even professional help, if necessary. Often, the trick to overcoming your dental fears and anxieties is understanding them. First, it is important to understand the difference between anxiety and fear. 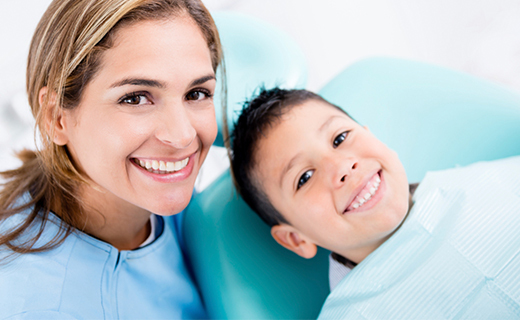 Dental anxiety is a sensation of discomfort and uncertainty that usually begins when it is time for your appointment. Dental fear, or dental phobia, is a serious condition that can cause terror and panic—sometimes at the mere mention of professional dental care. Individuals who suffer from dental phobia are at a higher risk of oral disease and tooth decay. These individuals may also bear unnecessary emotional burdens, such as insecurities related to smiling, laughing, and speaking. Discolored or damaged teeth cause these individuals to tailor basic social interactions, simply because their fear keeps them from optimally caring for their teeth. In severe cases, the emotional distress can be extreme and affect social interactions at work, among friends and family or in other public environments. Dental phobia is difficult to overcome, but is a condition that you should seek help to address. Poor oral health is a common indicator of certain life-threatening conditions, such as heart disease and lung infections. Many times, people with dental phobia experience a lower life expectancy and are more susceptible to poor health outcomes. The prospect of professional dental care should not leave you panic-stricken. If you are worried that you suffer from dental fears or phobia, make it a priority to seek help. Addressing dental fears could save your life.